Delighted to introduce Kevin Davies and his guest post. Regular followers of this place will know that whenever I can I do offer space for a guest blogger. I regret that so many of the persons that ask if I accept guest posts are trying to flog something to you all! But not Kevin. Here’s a little about him, as supplied by Kevin. My name is Kevin Davies and I am pet lover. The reason why I started this website (https://petloverguy.com) is that I want to share my experience which I have. I can’t imagine my life without pets. I have always had them since I was little. The first one me and my family had was a cat. Her name was Jenny. She was a Siamese cat with ocean blue eyes, her head was brown with a little bit of white specks, and the rest of her body was white. She was always nice to me, sat in my lap every day and when I petted her she always purred. I lost Jenny when I was 8 and it made me so sad. Actually it still makes me sad and I have never forgotten about her. Should I Shave My Dog for the Summer? It’s a question I hear all the time from pet parents, especially those with relatively long-haired, thick-coated dogs. Should I shave my dog for the summer? Will it make him more comfortable? 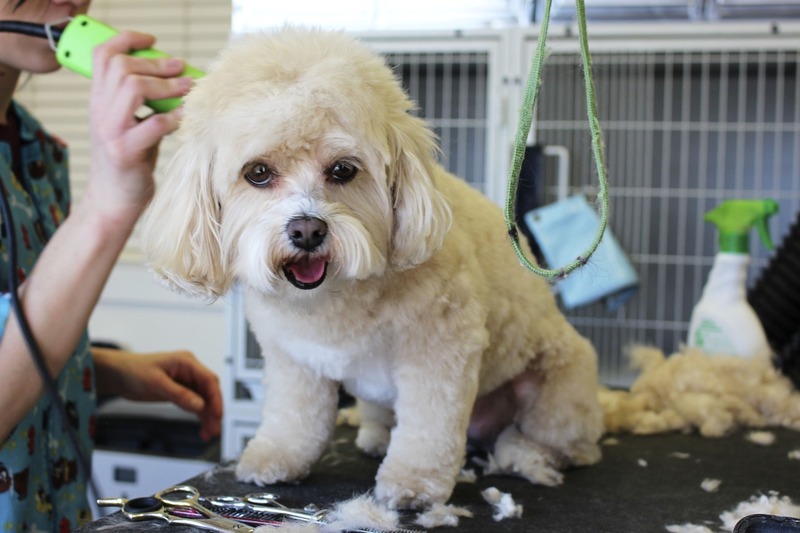 Obviously, if your dog is a Poodle, a Shih Tzu, a Lhasa Apso, or another of the “non-shedding” breeds, it’s perfectly fine to shave your dog. But what about the other breeds that aren’t typically shaved for grooming purposes? Can shaving them during the summer months make them more comfortable or will it create problems for them? We’re talking primarily here about long-haired dogs. Chows are a good example though certainly not the only breed in question. The answer is not clear cut and, likely if you ask six different people, you’ll get six different opinions. There are two lines of thought in this situation. The first line of thought is that the haircoat acts to trap the cooler hair next to the skin and keep the dog cooler. In other words, it works as insulation. The other line of thought is that the fur simply acts like a coat would for a human, making the dog warmer than is necessary. Frankly, science doesn’t have all the answers to these questions. What we do know is that dogs loose excess heat primarily through panting rather than through the skin. So your dog won’t “sweat” off excess heat like people do, even if shaved. Of course, that doesn’t mean that shaving your dog might not still provide some welcome relief from the heat. Obviously, there are differences between breeds when it comes to heat tolerance. Likely, there are differences between individual dogs as well. It’s been postulated that black absorbs heat whereas white reflects it. Therefore, dark colored dogs may be less tolerant to heat than lighter colored dogs. I’m not sure whether there’s any truth to that. There are no scientific studies that I know of to prove or disprove the theory. But, from a logical standpoint, it makes sense (to me, anyway). What does all this mean to you, the dog owner? Should you shave your dog for summer? I can’t give you a definitive “yes” or “no” answer. 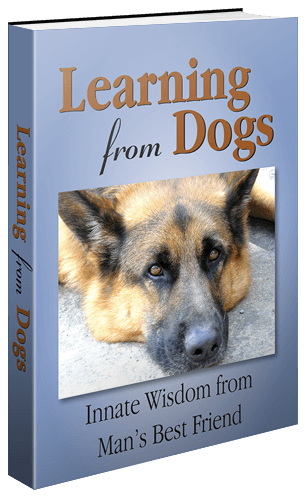 What makes sense to me is finding out what works best for your dog. Try shaving your dog and see if he seems more comfortable that way. The hair will grow back quickly for most dogs (more on that in a moment) and, if shaving doesn’t make your dog more comfortable, you don’t have to do it again. How close should you shave your dog? I worry about excess exposure to the sun, which may cause sunburn or even contribute to melanomas and other skin diseases. Therefore, I would leave enough fur to provide some protection rather than shaving your dog all the way down to the skin. How close should you trim? Leave perhaps 1/2 inch to an inch of hair length. There’s one other thing that you should be aware of before you shave your dog though. In most cases, the hair will grow back perfectly normally after shaving. But, in a small number of cases, it may not. This may be remedied in some dogs with the administration of thyroid hormones and/or melatonin. However, not all dogs will respond favorably to these drugs either. One last precaution: Even if your dog is shaved, you will still need to tailor your dog’s exercise to your individual dog’s situation. Hard exercise (i.e. marathon running, etc.) in hot temperatures is not appropriate for all dogs. Consider your dog’s physical condition and conformation and don’t overdo in the warm weather. Don’t know about you but we found that interesting. Hope there will be more posts from Kevin. Thanks to Kevin for enlightment on that subject. I know we used to give our Schnoodles “teddy bear” cuts for the summer when I was growing up. Humidity on the east coast can drive dogs nuts. It can also drive people nuts as well! 😉 Great guest post! Thank you, Susan. I know your reply will be seen and appreciated by Kevin. Having owned OES’s in the past and now Standard Poodles, I am all to familiar with the summer shave. It’s important not to take it down too far as dogs do get sunburned. Nice post! Hope Kevin comes back again soon! Lovely feedback. I think we will be seeing more from Kevin. Thanks to both of you. Paul I am happy that your readers liked my article. Nice info for those folks who have questions. Personally, I shave down all my long haired dogs in the summer. They seem to love being shaved. Fleas and ticks are easier to see when the hair is short. Just shave your dog earl in the summer and that way there is time for the hair to grow out before winter. More great advice. But don’t mention fleas and ticks! That’s the one and only downside of having the number of dogs that we have plus living in such a rural location. You are right about the parasites. I use 2-3 different flea, tick and, heartworm treatments. Some months get skipped- last year because so much was going on in my family. This year I will need to have the dogs retested for heartworms. I don’t retest ever year but last year they missed more than a few doses. I change about so that the fleas and ticks don’t become immune to a product that has been used repeatedly. This is just my own idea and I’ve not read at statistics on that. You may have something in that. I’ll discuss that with Jeannie. Pingback: Paul-What’s Best for Your Dog? Great blog post Kevin. I have gone back and forth on the shave or not shave issue. Since I have always had shedding dogs, verses a non shed breed, I have wondered if shaving would maybe even help with the shedding aspect of things. Thank you. I am glad that you liked my post.